Sol is a senior activist in the Filipino domestic helper community in Hong Kong. She has been a leader of the umbrella organization UNIFIL for 26 years.Bo has been making socially engaged art for ten years. He is an assistant professor at the School of Creative Media, City University of Hong Kong. 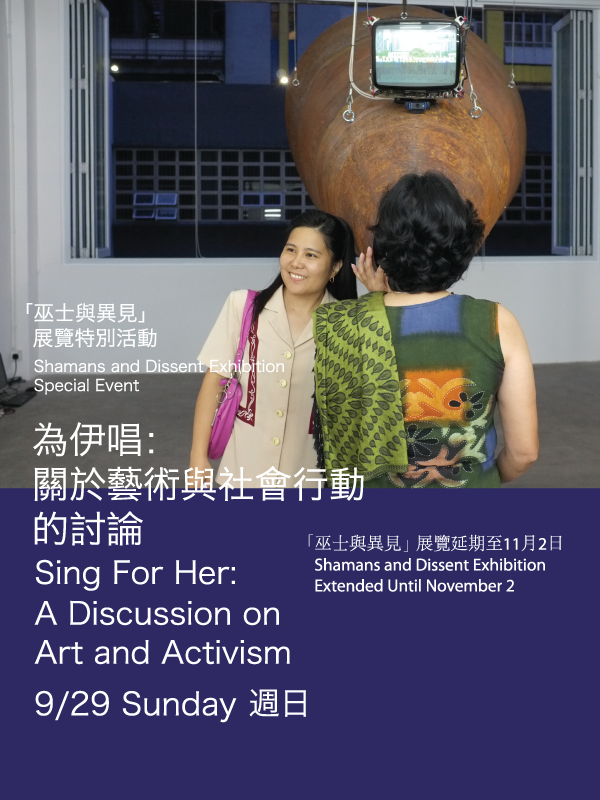 Bo’s work Sing For Her (2013) will be the starting point of this discussion.